1. What is Smart Charging? 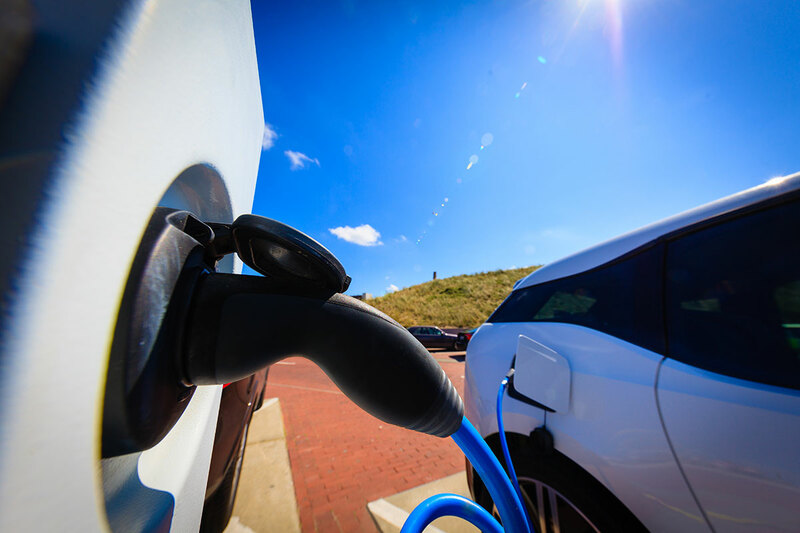 Smart Charging links renewable energy with the charging of electric vehicles. It (dis)charges electric vehicles at the most optimal moment using smart technologies that remotely control the charging transaction. Smart Charging takes into account a number of aspects, including the price that consumers pay, grid capacity and the availability of renewable energy. By combining these factors, Smart Charging is able to charge an electric vehicle generating benefits for all stakeholders involved. 2. What are the advantages of Smart Charging? Smart Charging has advantages for the entire EV-chain that involves a variety of stakeholders. It is able to make optimal use of renewable energy, and by controlling the charging transaction it can lower energy peaks. This will result in less grid reinforcements, which has a benefit for society as a whole as costs are socialized. Furthermore, it has financial advantages for the consumer. By charging electric vehicles with renewable energy, lower prices can be realized. 3. What is the Living Lab Smart Charging? The Living Lab Smart Charging is an open platform which facilitates the development of Smart Charging and related concepts. In the Living Lab Smart Charging, partners work under equivalent conditions on researching and testing Smart Charging. The platform encourages collaborations and tries to connect parties given their common aim to develop Smart Charging and to make charging infrastructure actually smart. The ultimate goal of the Living Lab Smart Charging is: Driving on solar and wind energy in the Netherlands. 4. What is the status of Smart Charging in the Netherlands? The Netherlands is a worldwide frontrunner regarding Smart Charging. Almost 90% of the Dutch public charging points have been made Smart Charging Ready, meaning that they can handle Smart Charging transactions. The Living Lab Smart Charging publishes monthly updates about the status of Smart Charging in the Netherlands. The latest publication of the Smart Charging Trend Monitor can be found here. Furthermore, several pilots have been initiated that investigate the technological, economic and social benefits of Smart Charging. More information about the projects that have been set up in cooperation with the Living Lab Smart Charging can be found here. 5. What is a charging station able to do if it is ‘smart’? In order for Smart Charging to be possible, a charging station should be able to handle and manage a ‘smart transaction’. A smart transaction involves the charging of an electric vehicle at the most optimal moment. When a charging station is ‘smart’, it can send and receive information about when and how much electricity is charged. Furthermore, the charging station will receive information on the best time to charge: immediately with full power or at a later time when there is an abundant supply of renewable energy. 6. What are examples of research that are carried out within the Living Lab Smart Charging? Jedlix: This mobile phone application makes it possible for EV-drivers to charge their electric vehicle in a smart way, using personal preferences. The vehicle will charge at the most sustainable timeframe, within the parameters defined by the EV-driver. We also perform research on the user requirements for Smart Charging: what does an EV-driver want and how far is he or she willing to go? More information can be found here or at the website of Jedlix. LomboXnet (Utrecht): In the area Lombok in the City of Utrecht, research is performed on how the energy of solar panels installed on rooftops can be used to charge an electric vehicle directly. At the same time research is carried out regarding the technique to deliver electricity from the vehicle – which has been generated by solar panels over the day – back to a home. This is a Vehicle-to-Grid (V2G) research, making the Netherlands one of the pioneers in this field. More information can be found here or at the website of LomboXnet (in Dutch). 7. Does the Living Lab Smart Charging only focus on public charging points? The larger the living lab and the more extensive the network of smart charging stations, the more thorough we can perform research on Smart Charging. That is why the ambition of the Living Lab Smart Charging is to include public, semi-public and private charging stations in the living lab. 8. Will Smart Charging cause charging stations to be occupied longer? Smart Charging implies charging at the most optimal moment, often within the timeframe as specified by the EV-driver. In this way, an EV-driver can indicate when he would like to leave. Within this timeframe, charging is optimized. A vehicle is for instance charged at night when there is a high supply of wind energy. Often, Smart Charging implies faster charging. Because of these reasons, the technology is expected not to result in longer occupation times. How this actually works out in practice is one of the issues that we research together with municipalities and other stakeholders. 9. How can we find out which projects are carried out? At the project webpage you can find the current projects. Please fill in our contact form if you would like to know more about projects or if you want to make a contribution yourself by adding a project. 10. How can I contact the Living Lab Smart Charging? You can contact the Living Lab Smart Charging by sending an email to info@livinglabsmartcharging.nl or by calling +31(0)26 8200 202. You can also subscribe for our newsletter via […].